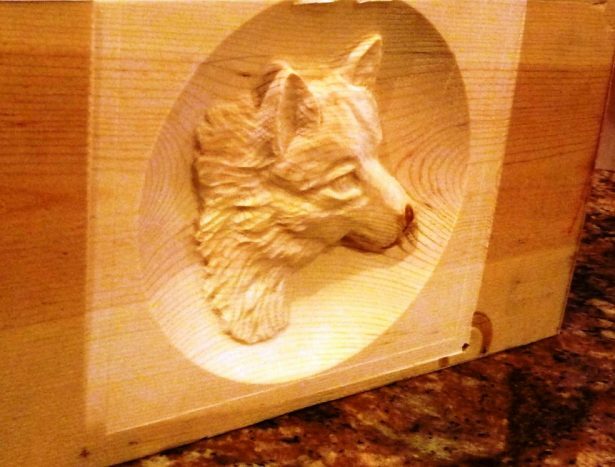 The very first time we tried doing a 3D carving, we took just two pieces of scrap wood and glued them together. I looked for two pieces that were not cracked or had any knots or other irregular surface features to them. 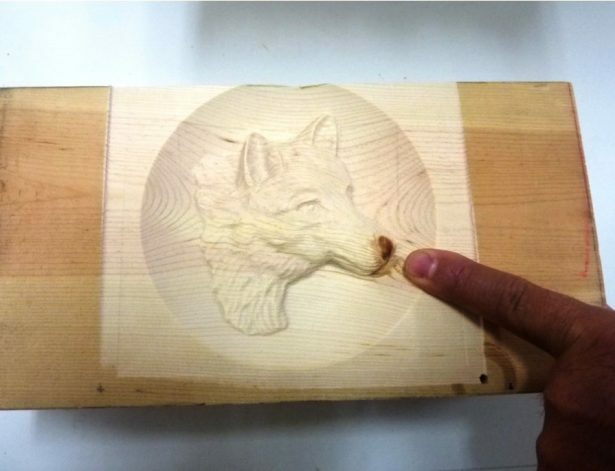 However, as the machine finished the carving, a knot showed up right at the end of the Wolf’s nose. 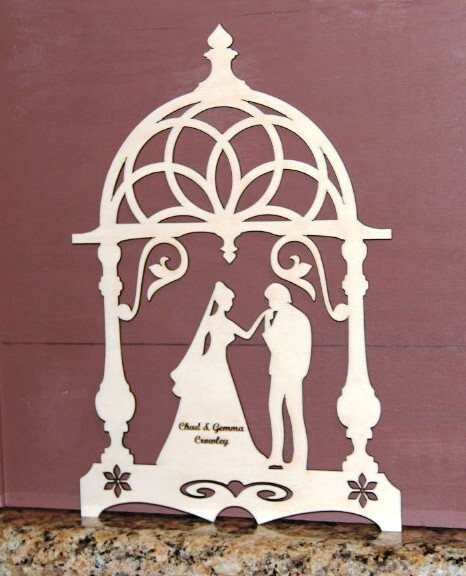 Rob made this one on a laser machine for a friend’s wedding. Back in South Florida, we were still learning how to run the machines properly. Our neighbors wanted to see if this could be done, and this is what we came up with. 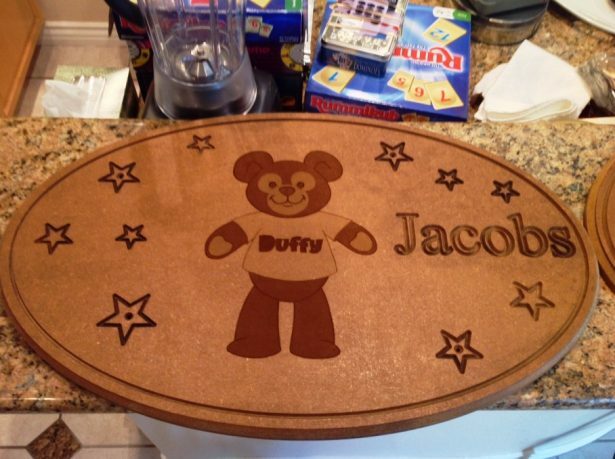 This was the very first job I did with the CNC Mill Router. 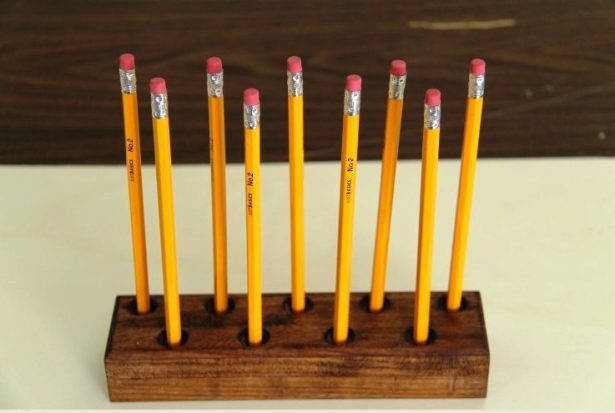 I made three of these for the shop as we were always losing pencils. A priest friend of mine complained that he was getting too fat. 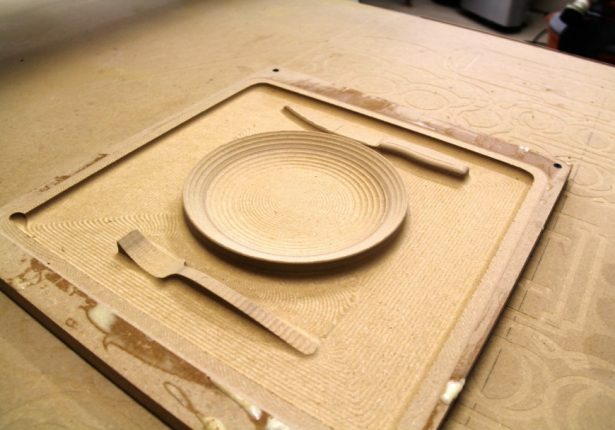 So I made him this carving of a place setting to use when he ate his meals. I guaranteed him that if he used these, he would lose weight. 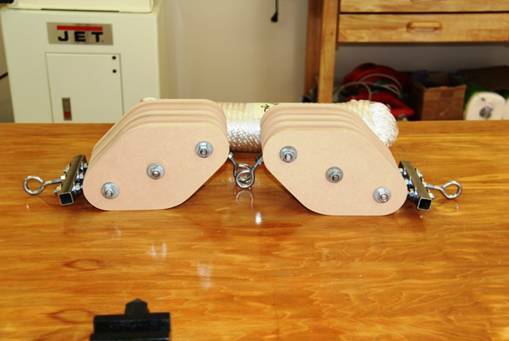 I made different sets of pulleys to teach mechanical advantages in their use to lift heavy weights. 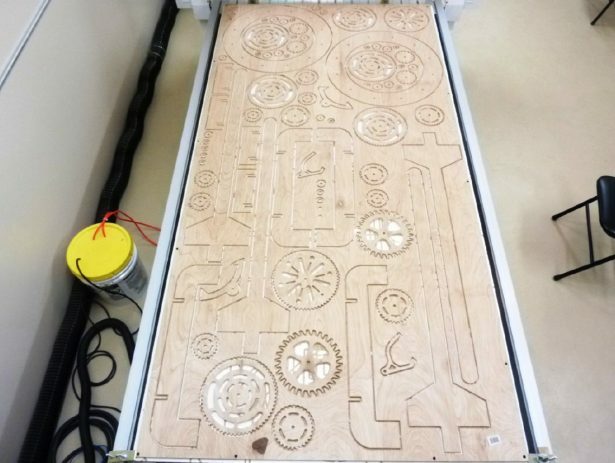 I programmed two wooden pendulum clocks on one sheet of plywood. They did not work but someday I will learn how to make them! My shop in the backyard and things are always ready for me to be creative with! 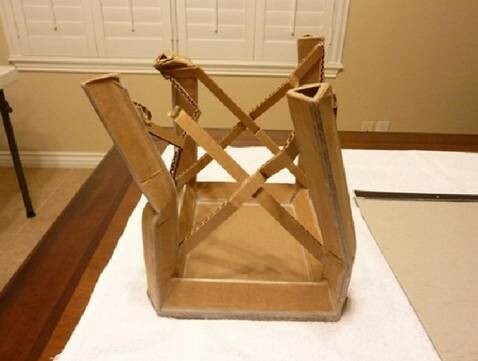 Richard’s cardboard stool that went on to set a world record, weighed only 9.25 ounces. 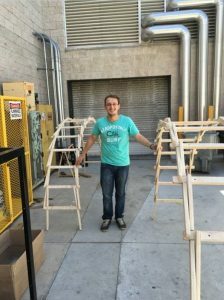 He made four of these one of which held up an incredible static force at the UNLV’s laboratory of 1,113 lbs. Two others failed at more than 1,000 lbs, and one failed at 974 lbs. 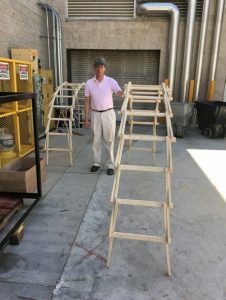 Until the tests, he had expected these to hold up to 200-300 hundred lbs each. “Wow, was I surprised! That might be a world record and I challenged schools and kids to beat that documented static weight test”, he recalls. 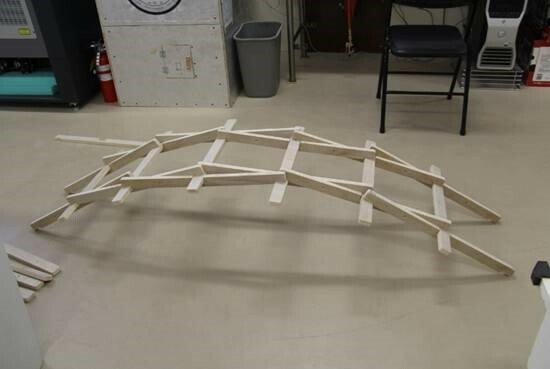 Another simple project he undertook, to make use of his CNC machine, was an arch bridge with no fasteners! 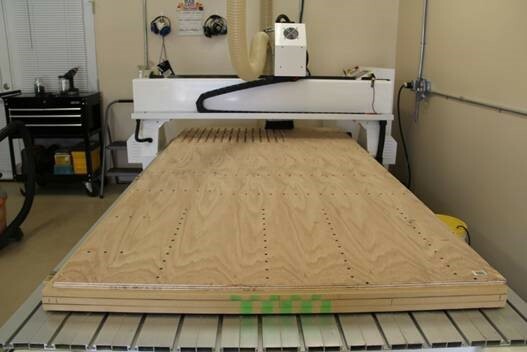 “No, it wasn’t my creation but some guy called Da Vinci during the middle ages came up with it. Uncle Vinnie came up with the idea and I used it. I don’t think he will mind and the kids just love it”, he smiles. With steady hands, these interlocks are simple to construct. 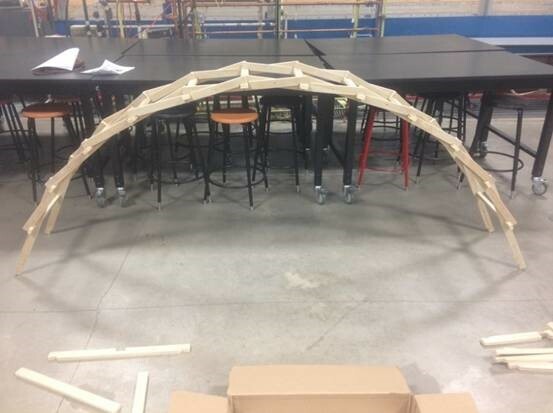 With a few assistants, it can be assembled into a complete circle. 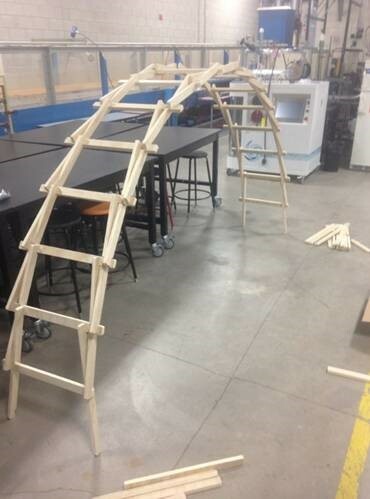 Certainly a fun project for everyone! Professors as well as students love it. 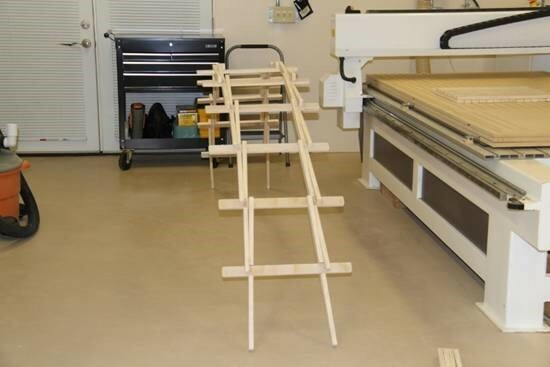 Below is a picture of Richard’s workshop in the backyard of his home. 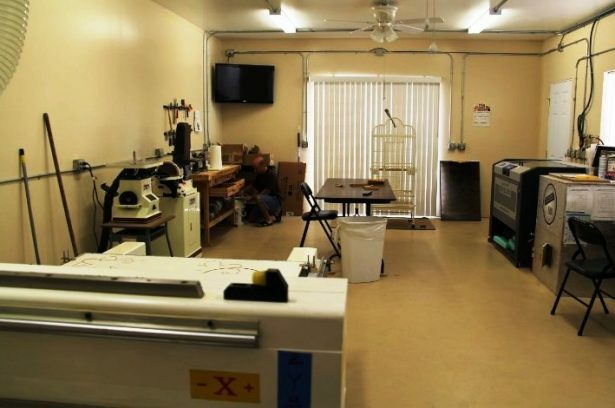 In the center is a cage for his parrot, Lexie, who loves to watch him work. Thank you Richard for sharing the stories, about your life and about the wonderful work you have been doing, with the SOLIDWORKS Community. Find more stories about Richard Williams a.k.a. 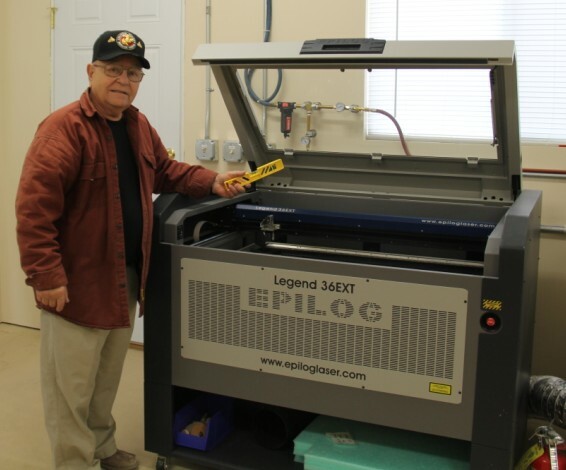 Corporal Willy on SOLIDWORKS Teacher Blog.